Located in Big Corn Island on a hill in the South Caribbean Region , this detached holiday home features a terrace and a garden. It provides free private parking. Free WiFi is available . 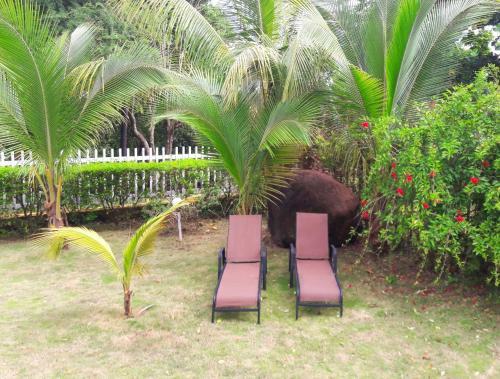 The nearest beach is a 10 minute walk form the property. The area is popular for diving and snorkeling. 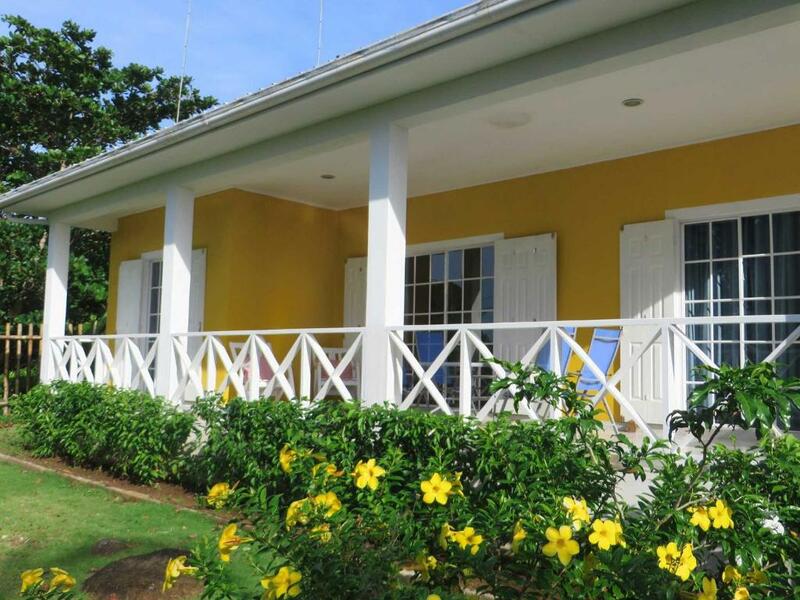 The nearest airport is Corn Island Airport, 1.2 mi from the property. When would you like to stay at Sunhill Villa? This holiday home has a kitchenware, microwave and air conditioning. 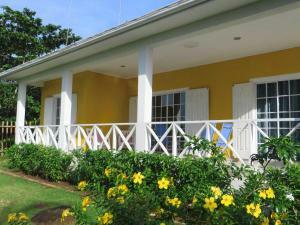 Sunhill Villa is a detached vacation home with a patio, located in the south of Big Corn Island. 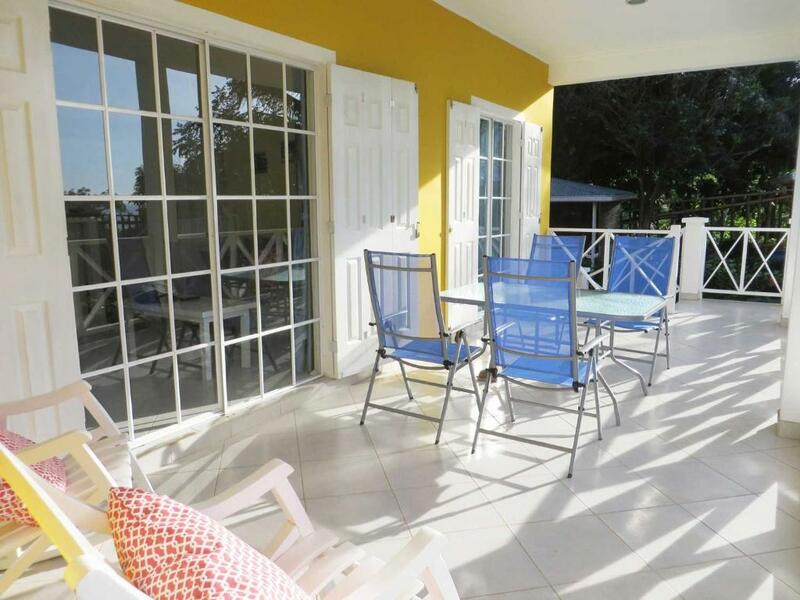 The property features a veranda and a garden. 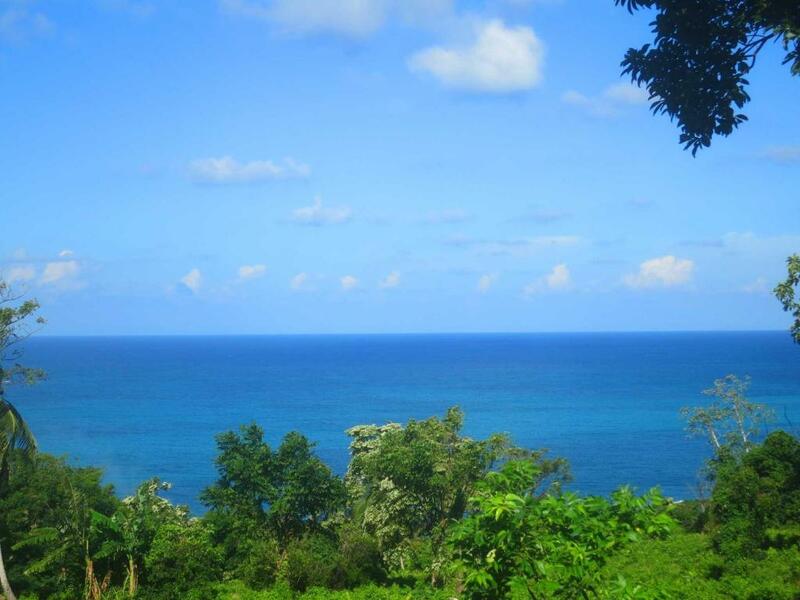 Sunhill Villa is located on the top of a hill and features views of the sea to the east as well as to the west. The kitchen is equipped with an oven, a refrigerator, a microwave, a toaster, a coffee maker as well as a kettle. A TV and free WiFi is provided. Bath towels and bed linen are provided. Other facilities at Sunhill Villa include a barbecue. 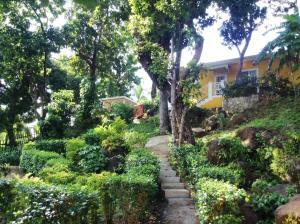 Sunhill Villa provides two bedrooms (wiht air conditioning) with a bathroom each (hot water shower). 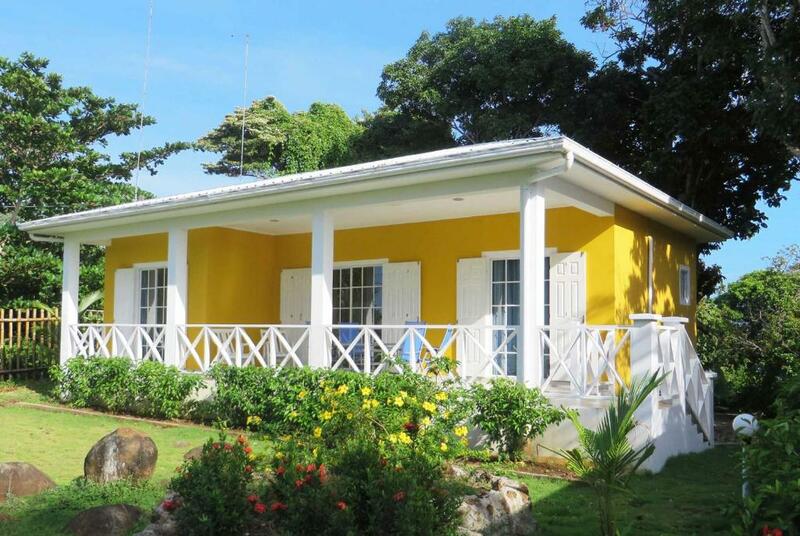 The property is just a 10 minute walk from Picnic Center Beach and a 20 minute walk from Long Bay Beach. Big Corn Island is popular for snorkeling and diving. A variety of other activities are available, such as hiking, golf cart driving, horse back riding, fishing and a 40 minute boat trip to Little Corn Island. Brig Bay and grocery stores are 4 km away. The airport is 3 km from Sunhill Villa. We speak your language! Hi, I´m Swiss and when my husband and I visited Big Corn Island for the first time, we immediately felt in love with this beautiful island. We were lucky to find a unique property on the top of a hill and to build our own vacation home where I can cook by myself. House Rules Sunhill Villa takes special requests – add in the next step! Sunhill Villa accepts these cards and reserves the right to temporarily hold an amount prior to arrival. The next beach is a 10 minute walk from the property. The path to the beach is partially not paved and leads downhill. Therefore, it is not well accessible after rain and you better take a taxi to get to the beach. Please inform Sunhill Villa of your expected arrival time in advance. You can use the Special Requests box when booking, or contact the property directly using the contact details in your confirmation. We need at least 5 reviews before we can calculate a review score. 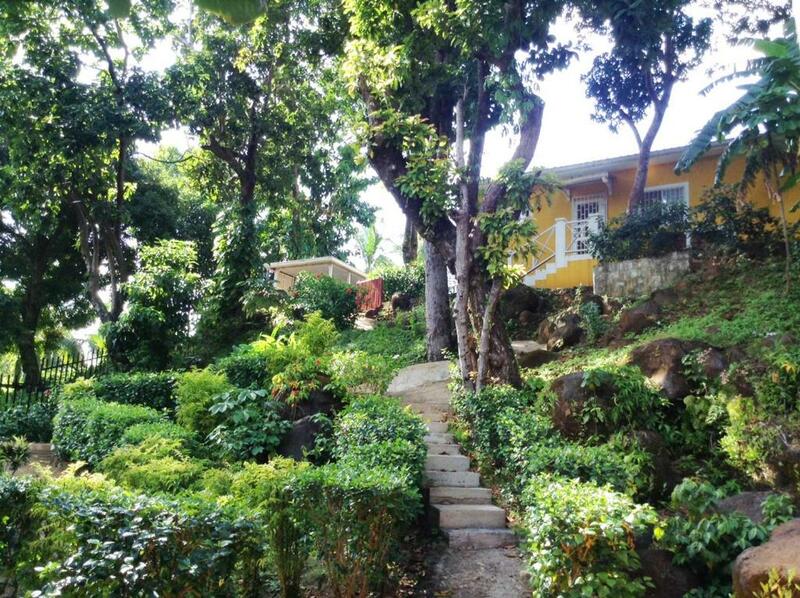 If you book and review your stay, you can help Sunhill Villa meet this goal. Prospective renters should be aware the house is not on the beach and the beach is a fair hike. However, taxis are cheap & plentiful. The kitchen is functional but not fancy. The house & yard are immaculate. The pictures on the web site are very accurate. The hosts & staff were very attentive. The views & sitting on the verandah were lovely. South Bay Beach is one of the most beautiful beaches we have visited - soft sand, clear, warm water & very gentle waves! Grand Corn is for people looking for an authentic Caribbean experience without large groups of other tourists. Incredible views - we could see the ocean from both the front and back of the house. The house is in a small community on top of Quinn Hill, there are chickens, dogs, goats and piglets running around on the road. It had such an authentic feel. Our neighbours always said hello and we felt they were looking out for us. It was a 10 minute walk to the Arenas Beach down a path through the woods. We often took a cab home for 20 Cordoba per person (70 cents US) On the other side of the island is the spectacular Long Beach - a bit too wavy for swimming but a great backdrop for a walk and clearing the head. Our hosts were wonderful - Jasmine had to go away but Peter was around and provided helpful advice and suggestions on places to eat, etc. Keith, the caretaker, was also friendly and helpful. The cleaning lady came on a regular basis and even did our laundry. We loved the hot showers, the spacious, covered deck where we ate and played cards. The A.C. worked well too. The island itself is undeveloped - we met lots of people who return year after year. We can see why. We really liked the house and every thing functioned perfect. Jasmine and her husband was very attentive to every need we could have. We loved our 10 days in the house! It is very easy to take taxis wherever you want to go on the island, and it is less than a dollar per person. We walked to Long Bay a beautiful beach to the east side of the island and also to Arenas beach and picnic center on the southwest beach. One day we bought some lobsters and the picnic center cooked them for us and we bought the side dishes there, it was really good!